Michigan isn’t just a Great Lakes state: It’s the Great Lakes State. With nearly 3,300 miles of freshwater Michigan coastline, no other state comes close. Michigan’s beaches, dunes, Pictured Rocks, fudgy and remote islands, protected bays and sport and commercial fishing offer a unifying source of pride that cuts across the political and cultural chasms that sometimes divide us. So how did Michigan ever grant an oil transport company based in western Canada a legal right-of-way to build twin pipelines across 4.6 miles of bottomlands in the Straits of Mackinac? The Enbridge lines, opened in 1953, now push 23 million gallons of light crude oil and liquified natural gas toward refineries and other destinations every day. Since 2010, when the disastrous rupture of another Enbridge pipeline unleashed 1.2 million gallons of heavy crude in and around the Kalamazoo River, the state has faced mounting pressure to shut down Line 5, which stretches across the sandy bottom of the straits. Leading the charge is a coalition of activists, businesses, residents and, increasingly, some strange-bedfellows politicians. Their voices are bipartisan, their motivations intensely personal, with officeholders who may agree on little else invoking intimate connections with Michigan’s lakes and streams in challenging Enbridge. 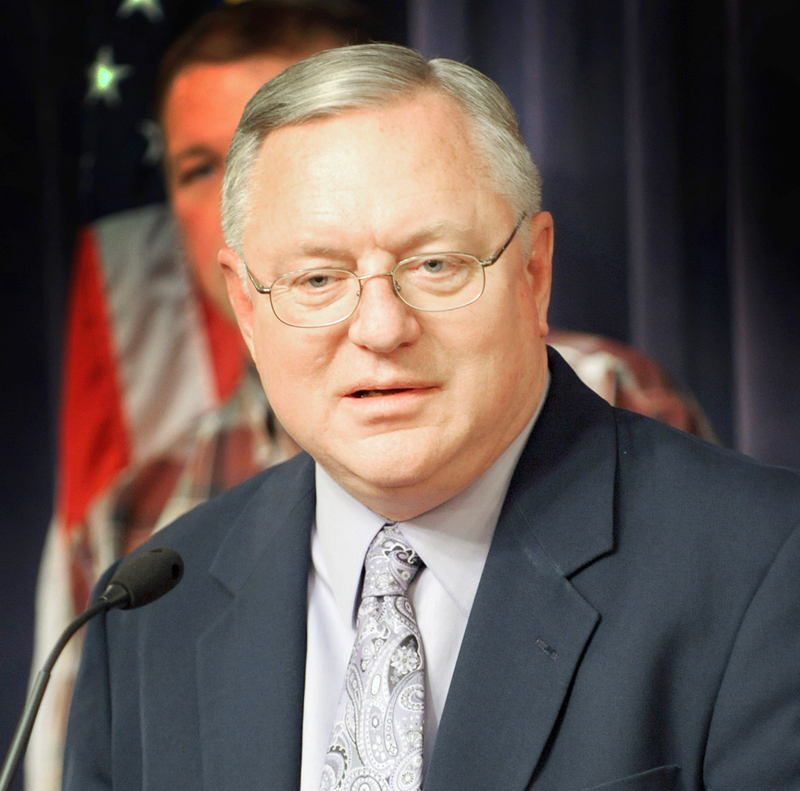 Lawmakers speaking out against Line 5 now include state Sen. Rick Jones, R-Grand Ledge, a conservative once in the crosshairs of environmental activists but now lauded by them as a legislative star. His mother-in-law lost her home in the Kalamazoo spill. They include U.S. Rep. Dave Trott, R-Birmingham, a Trump acolyte with an environmental rating in the low single digits by the national League of Conservation Voters, who joined this year with Rep. Debbie Dingell, a stalwart Democrat from Dearborn, on legislation to tighten oversight of Great Lakes pipelines. 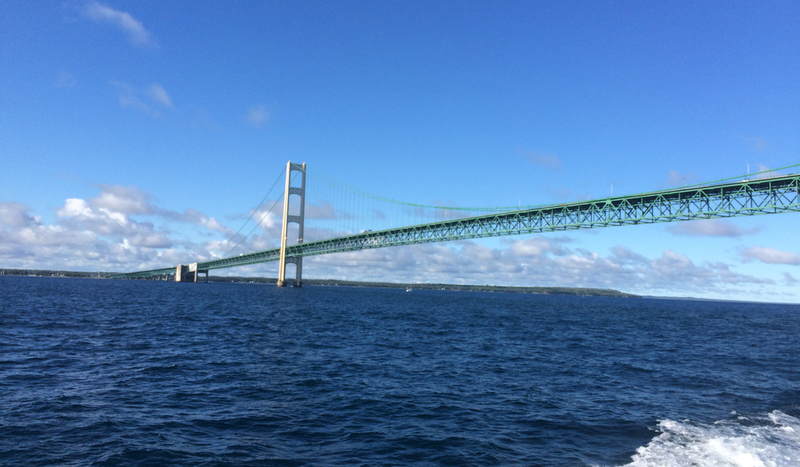 State Sen. Rick Jones, R-Grand Ledge, traces his skepticism toward Enbridge’s ability to keep oil out of the Straits of Mackinac to the disastrous rupture in 2010 of an Enbridge line in the Kalamazoo River. They include state Sen. Mike Kowall, R-White Lake, the majority floor leader, who the Michigan chapter of the Sierra Club once put on its list of “Pollution Promoters.” Kowall told Bridge “the Great Lakes is part of our DNA,” and has called for the shutdown of Line 5. They include U.S. Senators Gary Peters and Debbie Stabenow, progressive Democrats, but also former U.S. Rep. Candice Miller, a Republican who returned to local politics last year to improve conditions along Lake St. Clair, where she was raised on the water. It’s safe to say few Michiganders knew much about the Straits pipelines until the 2010 rupture of the Enbridge pipes along the Kalamazoo River, among the largest inland oil spills in U.S. history, which cost Enbridge nearly $1.3 billion to remediate. In seven years since, politicians, regulators, businesses, activists and residents have aggressively pushed to learn more about what’s being done to ensure oil from Enbridge’s aging Line 5 pipes is not released into the Straits. 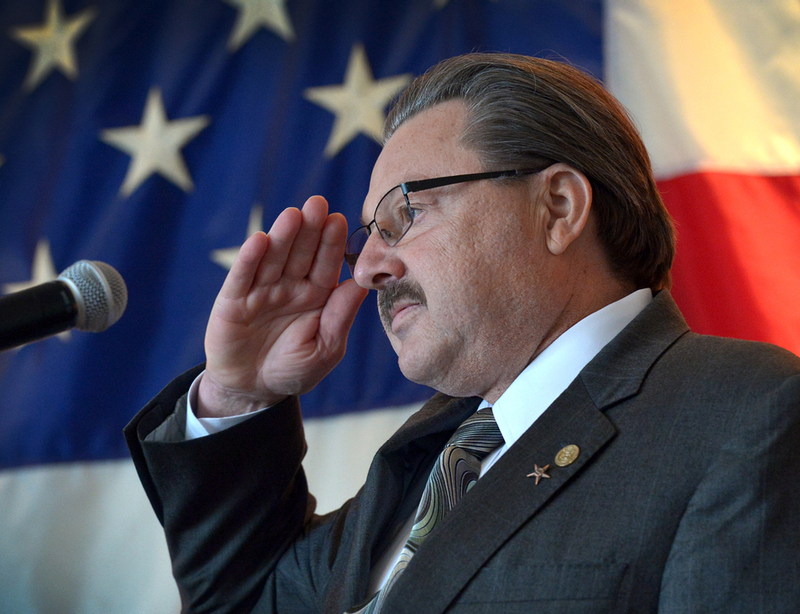 State Sen. Mike Kowall, R-White Lake, the majority floor leader, was once listed as a top promoter of pollution by an environmental group. He’s now among the conservative Republican voices calling for the shutdown of Line 5. The dispute was supposed to arrive at a critical juncture this week with the planned release of twin reports: one detailing the risks of a rupture along Line 5, and the second looking at alternative routes to move Enbridge oil to U.S. refineries. Instead, policymakers and advocates are scrambling to determine next steps after the risk-assessment report was cancelled, and the firm behind it fired, when it was learned that a member of the reporting team was also performing side work for Enbridge. The cancelled report may delay a drama that Enbridge critics say the state could have ended long ago by shutting down Line 5. That decision, when it comes, will carry consequences not only for the Great Lakes, but for the future of politicians who have attached themselves to the controversy, including state Attorney General Bill Schuette, who has talked tough about Enbridge but is viewed as not being sufficiently aggressive by some environmental groups, and of course Gov. Rick Snyder, whose environmental legacy is already bruised by the ongoing water crisis in Flint. But even as Schuette and Snyder head toward an intraparty showdown over culpability in Flint, Democratic and Republican office holders in Lansing and Washington are building a consensus that seems headed toward decommissioning of the Straits pipelines. Some conclude that the only solution is to “Shut It Down!” ‒ as large segments of audiences roared in unison at meetings of the Michigan Pipeline Safety Advisory Board including one held June 12 in Petoskey. Others are more circumspect but want greater transparency from Enbridge, and proof that the risk of a spill is infinitesimal and, if it did happen, would be very limited. GUEST COMMENTARY: Is time running out on the Enbridge Straits pipeline 5? Later this week, the state is still to release the second planned report: on alternatives to using the 64-year-old Straits pipelines to transport oil. Options include using new or existing pipes that avoid the Great Lakes entirely; building a new pipeline to replace the existing one, possibly by digging under the floor of the Straits, or routing the oil north through Ontario to refineries in Sarnia. Each option would be expensive and likely fraught with its own environmental issues. But many who have participated in the Line 5 debate say they are skeptical that any resolution can be reached without a reliable risk analysis report. Gail Gruenwald, executive director and attorney for the Tip of the Mitt Watershed in Petoskey, said while she agrees with the state’s decision to fire the risk-assessment contractor that it’s a huge setback for resolving the controversy. Shriberg, of the National Wildlife Federation and Michigan advisory panel, said he doesn’t believe the state should seek a new independent risk report. It would delay the process dramatically, he said, and there are other ways to get the needed numbers. 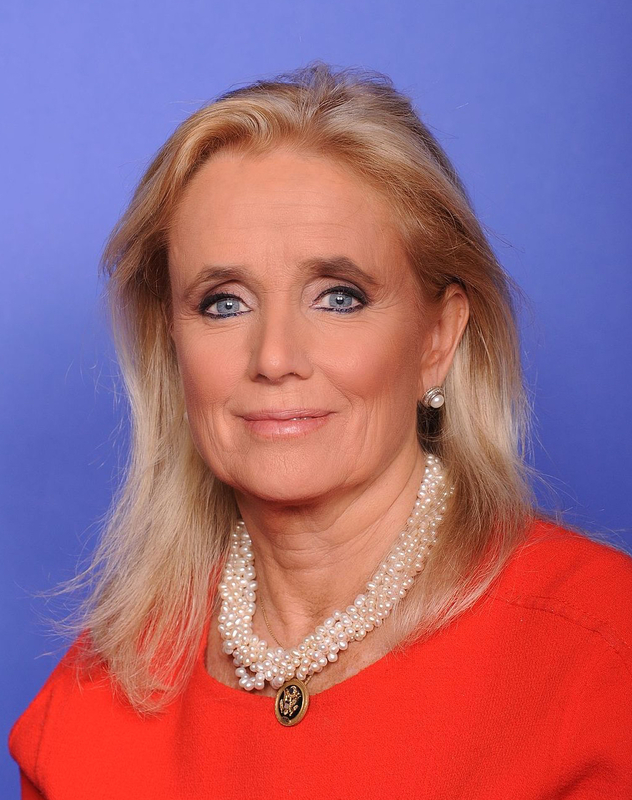 Congresswoman Debbie Dingell, D-Dearborn, has teamed up with conservative Republican U.S. Rep. Dave Trott of Birmingham on a bill that would increase monitoring efforts on pipelines in the Great Lakes. Enbridge spokesman Ryan Duffy quarrels with that description. The company has said it continues to believe the 645-mile pipeline, which splits into two pipelines just west of the Mackinac Bridge to cross the Straits bottomland, is a winner for the state. Enbridge says Line 5 provides most of Michigan’s propane, a good dose of its pre-refined gasoline, and roughly $55 million in property taxes in 2016, while providing over 100 Michigan jobs paying $8 million in wages. Moreover, Duffy said, the pipelines that cross the Straits have been shown to be safe by ongoing testing and monitoring which go beyond regulatory requirements and were stepped up after the Kalamazoo River disaster. Every new Enbridge employee today, Duffy said, gets a ring made out of the Line 6B pipe that ruptured in 2010, a reminder of the company’s commitment to avoiding future pipeline catastrophes. But after Kalamazoo, Enbridge’s professed dedication to safety has proved a hard sell in Michigan. Last year, the National Wildlife Federation commissioned two questions in a statewide poll of 600 residents conducted by EPIC/MRA of Lansing. The first asked whether oil pipelines should be allowed under the Great Lakes. By a margin of nearly 2-1, Michigan residents said no. A second question was more specific, asking whether the existing Line 5 pipeline should be shut down: 66 percent of respondents said shut it down, with 27 percent supporting Line 5. Democrats were most likely to have negative responses toward the pipeline, followed by independents and Republicans. Still, by a 50-to-41 percent margin, Michigan Republicans said the pipeline across the Straits shouldn’t be used. Among residents in northern Michigan, where oil and gas drilling and production are a bigger part of the economy, twice as many people supported shutting down Line 5 as keeping it open. 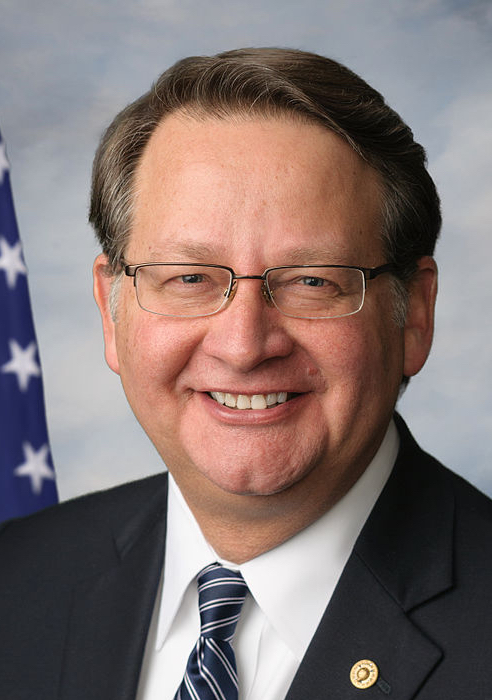 U.S. Sen. Gary Peters has teamed with fellow Sen. Debbie Stabenow on legislation to battle oil pipelines in the Great Lakes. Ken Sikkema, a former Republican legislative leader and now senior policy fellow with Public Sector Consultants in Lansing, said two people who belong to the conservative, evangelical church he attends in Grand Rapids approached him separately recently about the Straits pipeline. They were amazed the state ever allowed it. Public opposition to Enbridge is being fortified by steady grassroots organizing efforts. The group Oil and Water Don’t Mix, for instance, is marshalling hundreds of small businesses and organizations, 15 Native American tribes or bands, 26 cities ranging from Detroit to Mackinac Island,16 counties, 26 townships and two conservation districts, to fight Line 5. But the fate of the straits pipelines is perhaps most threatened by the increasingly bipartisan opposition of political leaders in Lansing and Washington. Jones, the Grand Blanc Republican, became an advocate for shutting down Line 5 after seeing what the Line 6B spill in the Kalamazoo River did to his mother-in-law. Her home was so close that it was among those Enbridge purchased in the aftermath. Opponents of Line 5 often note that the Great Lakes hold 84 percent of the U.S. surface fresh water and 21 percent of the world’s supply of surface freshwater. They also note that the water flowing through the Straits is 10 times the volume that moves through the Niagara Falls, and that unpredictable currents and weather, including ice cover, could render winter oil containment all but impossible. A University of Michigan study used computer modeling to show how a spill could churn oil across more than 700 miles of shoreline in lakes Michigan and Huron. Jones introduced legislation last year that would ban future pipelines in the Great Lakes and require operators of existing lines to undergo a full risk analysis by a third party. If risks are high, the pipeline would have to shut down. Enbridge representatives were in his office the next day, he said, asking him to back off. The bill hasn’t gotten a hearing in the Senate’s Natural Resources Committee where Sen. Tom Casperson, an Escanaba Republican, is the chairman. After its introduction, Casperson, according to MLive.com, called the bill “irresponsible” because it didn’t address an alternative for getting propane to his Upper Peninsula constituents who rely heavily on it for heating. Line 5 carries, according to Enbridge, 65 percent of the raw material ‒ liquid natural gas ‒ used for propane in the Upper Peninsula. In Washington, Trott, whose congressional district represents Oakland and western Wayne County, tag-teamed with Dingell, of Dearborn, to introduce a bill in January that would require more scrutiny of Great Lakes pipelines and increase the U.S. Environmental Protection Agency’s authority to shut down those that pose unacceptable risks. The bill runs counter to efforts by the Trump Administration to reduce environmental regulations and shrink the EPA’s budget. Trott said he began to dig into the Line 5 controversy at the urging of a close friend who lives near the Straits. On his legislation with Dingell, Trott said he was following the lead of Candice Miller, the Macomb County Republican, who introduced similar legislation when she was in the House. 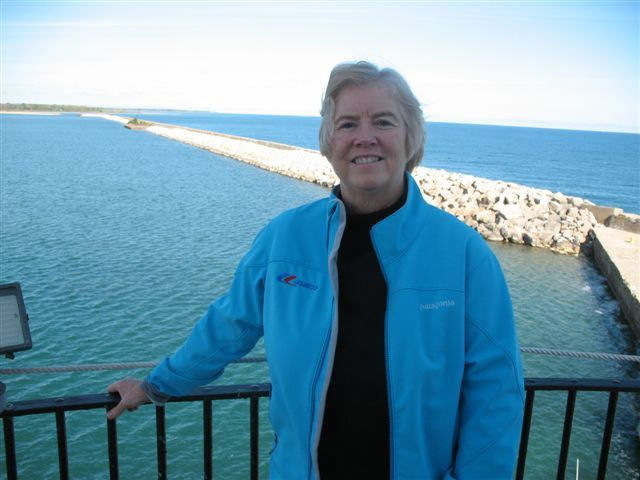 Macomb County Public Works Commissioner Candice Miller cited growing up along Lake St. Clair as a catalyst for her efforts to ensure water quality in Michigan. Dingell, as well, cited a personal and emotional attachment to the blue waters of the Great Lakes growing up along the St. Clair River, the connecting waterway flowing out of Lake Huron and into Lake St. Clair. Even today, she said, the idea of jumping in the river with an inner tube to float along on its swift current is tantalizing. Michigan’s U.S. Senators, Gary Peters and Debbie Stabenow, have also been aggressive. A bill Peters sponsored last year passed nearly unanimously with Republican co-sponsors from other Great Lakes states. It designated the entire Great Lakes basin as a “high consequence” and “unusually sensitive” area requiring ‒ among other things ‒ that pipeline operators consider issues like ice cover when writing contingency plans for spills. In January, Peters and Stabenow introduced a measure that would remove the cap on cleanup and remediation liability limits for pipeline companies and other oil transporters, currently capped at $634 million. It also would require that owners of pipelines in the Great Lakes be responsible for up to $134 million in economic damages caused by a spill. For the record, Enbridge accepted full responsibility for nearly $1.3 billion in costs from the Line 6B rupture, despite the liability limit in place. While Line 5 opponents are impatient for Snyder or Schuette to take steps to shut it down, the timetable for a decision is now anyone’s guess. Snyder and Schuette both leave office at the end of 2018, though Schuette is expected to run for governor next year. Gruenwald, of the Tip of the Mitt Watershed Council, contends there has been a lot of exaggeration and misinformation on both sides of the Line 5 debate. Her organization, sometimes criticized by environmental activists as too cautious, was very deliberate in its assessment before concluding that the Straits pipeline needs to be shut down. “We are very careful about the policy decisions we take. We make sure we can defend them from a technical perspective,” she said, adding that her group’s pipelines expert, Jennifer McKay, concluded that while the risk of a major spill is small the potential damage doesn’t justify that risk. The life expectancy of the materials used to construct the pipe line should be closely looked at. I attended a seminar once on fatigue in weldments. The one thing that stuck in my mind was a 6 word sentence that the professor drilled into us. "Welds are instruments of the devil." I would hope that if this pipeline is allowed to continue operation, that the line is of double or triple walled construction, just like modern tanker ships are. It is very curious listening to our Sens Peters and Stabenow and the rest, leading the cheering section for great lakes shipping yet these same pols want to shut down this pipe line. Yet what is the relative damage and its duration caused by the many invasive species brought in by this shipping they subsidize and cheer on and then stick on the citizens of Michigan vs. damage from Embridge (which they in fact paid for!!) ? Given our politician's stated positions, are our politicians just political hacks or just stupid? This is just another case of the anti fossil fuel, luddite left trying to shut down that industry and nothing more. It's not about the remote risks from this pipeline to the great lakes, if that was it, we'd be hearing them screaming to shut off all great lakes shipping because the existing and on going damages. But we hear nothing! uld "Matt is pretty much right when he says, "This is just another case of the anti fossil fuel, luddite left trying to shut down that industry and nothing more. " The anti-fossil fuel hysteria has gotten entirely out of hand. That is not to say that there isn't a real risk of a significant spill, obviously there is. Nothing in this world is risk free. As Mr. Campbell points out, "For the record, Enbridge accepted full responsibility for nearly $1.3 billion in costs from the Line 6B rupture, despite the liability limit in place." It is very likely that Enbridge would be on the hook for $10 billion in the event of a significant failure, so it seems reasonable to assume that they would make every effort to keep the risk of a failure around one percent over twenty years. Mr. Campbell makes no attempt whatsoever to evaluate costs and benefits and see where the balance lies, but that is what passes for journalism these days . What Mr. Campbell did was not, and was not meant to be, an exhaustive treatise on the risks and benefits of keeping Line 5 operational. There have been plenty of those. The focus of this article was on the extraordinary bipartisan consensus that has recently developed around shutting down this line, with arch conservatives and progressive Democrats joining as one on an incredibly controversial issue. That's pretty rare these days, and worth noting. We are proud to run Bob Campbell's reporting, because it doesn't just pass for reporting but is reporting at an incredibly high level, by a pro who has been worked at a very high level in this state for decades. I can understand how you would not expect or be able to post a treatise on any topic, however I wonder to what extent you understand the risk-reward process. The more critical element of that process is risk management something that none of the Bridge articles have include on this topic. Risk management are those things we do or can do to manage the risk we take to achieve the reward we desire. Whenever I take a ride in a car I am taking risk that includes the most severe or potential consequences for what maybe a mundane reward. However, each time we ride in a car we use a seat-belt to mitigate the potential consequences of that potential risk, we manage the risk. For over a hundred years we have been using chlorine [one of the most dangerous chemicals] to treat our drinking water to eliminate the risk of cholera and typhoid [which has proven very effective]. The manufacturing, transporting, and using of chlorine has an additional set of risks [health concerns appear a 10ppm] and yet we have not had the dire consequences those risks entail. The reason for this is just as chlorine was used to manage the risk involved in our drinking water systems so do those involved in the handling of chlorine manage the risks through methods of construction, system design and maintenance, and effective procedures. Risk management has become such an effective tool for managing high hazardous materials that both OSHA [1910.119] and the EPA have codified the practice. I take no position on the pipeline since I have seen no risk management review of the pipeline. I chastise the Enbridge for not offering a public risk management [included a listing of the risks, the potential consequences of those risks, a listing of the means to minimize [there is no such thing as zero risk] and mitigate those consequences. I am disappointed in all of those who simply oppose something that because of what might happen. I encourage Bridge to invest some effort into learning about risk management to help frame issues such as this one so readers can better judge the issues being reported on. I do not know Mr. Campbell's credentials, I don't know his experience with risk management process. I doubt any of those mentioned in the article have any training/experience with risk management protocol for such issues [chemicals]. That makes me wonder as reader if this is reporting or a position promoting article. I need to make a correction. The formula I gave for calculating risk actually figures the probability that an event will not happen over a period of time. To get the risk that the event will happen, you have to subtract the formula's result from one. And I should have noted that the article was incomplete and out of date because it did not include the fact that Enbridge had pressure tested the line at twice the required pressure and found it to be safe. This isn't about risk, it is about killing off the fossil fuel industry. Actually, Luddites are generally known to be persons who cling to the old ways (like old Ned Ludd) rather than embracing new technology. If you look at most folks who wish to hang on to fossil fuels they tend to be more right-leaning than left ( a generalization, I agree) so who are the real Luddites? Not progressive lefties as you assert. Think again George, wind and sun power were used for thousands of years! It disappeared in a hundred years in spite of being "free" for very real reasons which we again will be reminded of. Further last I looked it's the left intent on killing off all nuclear power. What about the Chicago Sanitary canal? This artificial hole ripped in the bottom of lake Mich is the gateway to the great lake for the Big Head Carp aside being a massive diversion of Great lakes water (for all you in a frenzy over that issue!). Yet again nothing but crickets. More proof that this isn't about environmental damage, it's about the left's interest in shutting down the fossil fuel industry! Again invasive species have caused significant permanent damage to the great lakes ecco system that will likely never be fixed. Peters, Stabenow and Dingle are big cheer leaders for great lakes shipping and the associated infrastructure which are the main conduits. Yet we only hear shut down the pipeline and NOTHING else but band aids (the electric fence) for the real and permanent damage from invasives. This clearly is political, not environmental. As far as subsidies please be specific what subsidies you refer to. I'd love to know to what you refer, besides I've never noticed your side of the spectrum having a problem with them. Except the things you don't like. Matt your argument is fatuous & I suspect that invoking invasive species is simply a red hearing that you wish to tie around the politicians mentioned. Great Lakes issues are bipartisan, regional and international which make consensus difficult at best. A simple google search of government subsidies show the extent of US & other government subsidies for all energy sectors including renewable energy. There is a legitimate discussion & disagreements on these things that can be had, but not if you keep insisting on defining everything by tribalism. I'm not on a "side of the spectrum" & neither are many Americans. Also everything in humankind is political, and environmental, economic & social. So trying to define issues separately is counterproductive to any legitimate discussion. Finally, the environmental damage that invasive species has caused like the environmental damage the fossil fuel industry has done and frankly every other human activity is long term damage. It can be mitigated and the past is no excuse to not take action for the future. Personally I like riding my Harley and do not have an absolutist position on hardly anything but the need for creative solutions to our human made problems. Simply put this hyper focus on the pipeline to the exclusion of actual real and on going threats and damages is faux environmentalism at its finest! Using fear and calls for absolute safety (nonexistent) only as an excuse and tool to fan fear in the public and pick up some useful dupes (our state's AG). By the way I'm an avid fisherman who uses fossil fuels to fuel his boat often in the great lakes and have no interest of any kind in the pipeline or fossil fuel industry other than buying fuel. And sorry but like it or not, it is the political left pushing pipeline shutdowns and cancellations, facts are facts nothing personal. I am happy to see that there is at least one issue that Democrats and Republicans agree on! Hoping this bi-partisanship will extend into other areas, including healthcare, road and infrastructure investments, etc. bigoilwhistleblower.com and you will know why I went from a oil worker to a whistleblower that had so many death threats for telling the truth about Enbridge. The most recent iteration of Michigan's auto license plates features the Mackinac bridge framed by an orange glow that is supposedly either sunrise or sunset ( can't figure out the perspective).After learning of the potential disaster inherent in Line 5 I can only see the glow being from " in Situ" burning off of leaked oil after the break- quite a damn scary prospect! Wow after reading this information I understand fear of future events it is easy to say more studies and reviews. Lack heating supplies not acute. Your article claims that Enbridge Line 5 carries "liquid natural gas," which is erroneous. 'Liquid natural gas' is a cryogenic substance which is not transported by long distance pipelines. Line 5 does carry 'natural gas liquids' (NGL) which is a completely different substance from 'liquid natural gas' (LNG). What if..... What IF it leaks.....or What IF Michigan politicians seized this opportunity grant hope to a state and a nation that is weary of partisan politics. What if Michigan Republican and Democrats actually decided to work together to eliminate this pipeline and protect the future Great Lakes for our children and grandchildren. What if their bold bipartisan leadership was so wildly uplifting to constituents that it started a national trend? A trend where people work together as statesmen/ women and make good decisions that are about the future, not about next quarters bottom line? What if?